2. 17/4/2019. Hikers. Edgar Centre to Rotary Park, return. 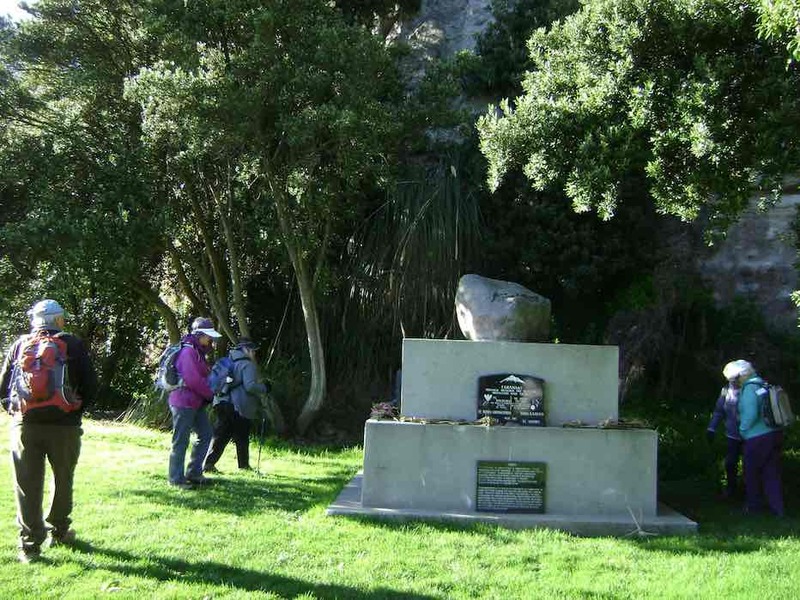 E. Shona and Jill D.
28 hikers assembled at the Edgar Centre, before walking along Portsmouth Drive to Bayfield Park stopping en route to admire the memorial stone “RONGO”. caught the bus to Shiel Hill terminus. 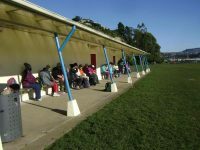 We continued walking up to Rotary Park, through the pine trees there and down the reserve track to Harbour Heights, missing our planned stop as it was too early for lunch, which we took further down Larnach Rd in the sun at the local school playground. 1. 16/8/2017. Hikers. Edgar Centre to Rotary Park, return. E. Leaders: Judy and Adrienne. 26 hikers met at the Edgar Centre carpark in clear sunshine after a frosty start to the morning. We walked along Portsmouth Drive a short way to the Bayfield sports fields for a leisurely morning tea on the comfortable seats in front of the pavilion. From there it was another short leg to the bus stop at the bottom of Silverton Street, where we boarded the bus for the ride up to the Shiel Hill terminal. Another short walk took us further up the hill and across the road into Rotary Park for an early lunch. A lazy breeze found us well spread out, seeking sunshine and shelter – hard to find both. The views of the city and harbour are magnificent from this park. Soon we were joined by Les and Margaret, with welcome birthday chocolates – thankyou! It was good to see Les up and about again after a bout of pneumonia. Unfortunately it was a bit too cool for the proposed lengthy lunch and sunbathe, so by midday we were off again for the walk down the hill, via McKerrow St, Larnach Rd and Shandon Rd to the top of Arthurs Walk. With knees creaking a bit we descended the many steps down to Portobello Rd, and so back to the cars, and coffee at Nichols. – Judy and Adrienne.